Mortimer Brewster is living a happy life: He has a steady job as a drama critic at a prominent New York newspaper; he's just become engaged; and he gets to visit his sweet spinster aunts to announce the engagement. He always knew his once elite family bloodline had a bit of a mad gene (his brother believes himself to be Teddy Roosevelt). But his world gets turned upside down when he realizes his dear aunts have been poisoning lonely old men for years! Mortimer is torn between covering up for his kin, wanting to marry the woman he loves, and maintaining his own sanity. 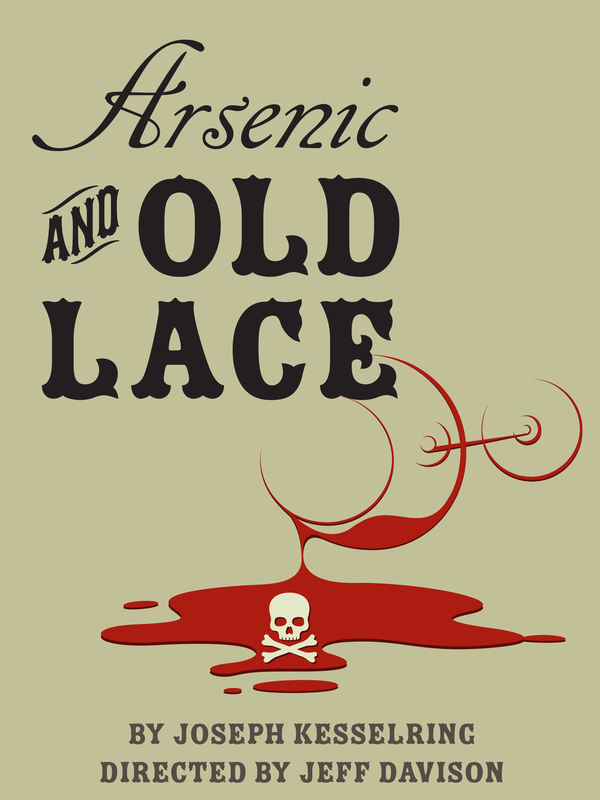 An uproarious farce on plays involving murder, Arsenic and Old Lace is a dark screwball comedy! Performances: Jan. 25, 26, Feb. 1, 2, 8, 9 @ 8 pm. Feb. 3 and 10 @ 2 pm. St. Dunstan's Theatre is located at 400 Lone Pine Rd, between Woodward and Lahser, in Bloomfield Hills. Free parking is available on the boulevard across from the theater; in the Cranbrook House lot on Lone Pine Rd just east of the theater; and in the Christ Church lot one block east of the theater. Please allow time for walking. Late arrivals will be seated at the discretion of the ushers. Please note: We regret that St. Dunstan's Theatre is not handicapped accessible. The lobby and restrooms are on the first floor; performance area is on the second floor. There is no elevator. Sorry, no refunds. Tickets may be exchanged for a different date if seating is available. Call ShowClix at 1-888-718-4253, or St. Dunstan's at 1-844-386-7826.